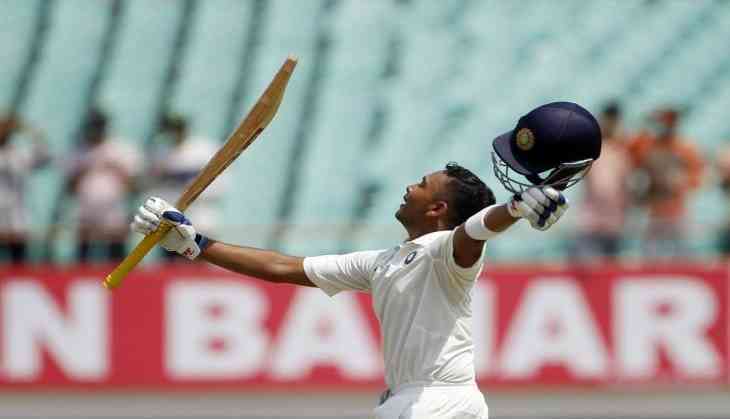 In the first match against team Windies, Mumbai's wonder boy Prithvi Shaw made a beautiful knock of 134 runs. He made the century in his debut match and that too in just 99 balls. After that, he is being compared with Sachin Tendulkar. Whether his weakness also has come out in front of the bowlers in his first match only. After seeing his batting in the first match, Prithvi Shaw has played brilliantly against the pace bowlers and he even played aggressively against pace. But where he is facing trouble the most is against leg spinners and his this weakness came out in IPL also. Where he played 23 balls of the spinners he just made only 28 runs and got out four times. Besides, he got out also on the bowl of a leg-spinner. With this, it is totally clear he is facing tough against the leg spinners. In this, Prithvi Shaw will have to make himself better against leg spinners. Significantly, after this great knock, legendary players like Sachin Tendulkar, Virender Sehwag and others have appreciated him.